That moment you realize you can have churros every morning without the deep frying, your life will change. These Crispy Churro Waffles are best served warm and slathered in Nutella – but that’s just me. Whenever I see churros on a dessert menu, it’s the obvious choice – I’ll ALWAYS order them. The warm, crispy shell and the fact that they come with a usual dipping sauce, reel me in. But that’s the thing – I always order them because I never make them at home. Let me confess – I hate deep frying at home. Don’t ask me why (I blame my mother, she also has this innate fear), bit it’s something I never do. So churros were out of the question, until now. Crispy Churro Waffles, made in a waffle maker, to the rescue! The fun part about this is that it’s made with a popular dough in the baking world, called pate a choux. An eggy and versatile dough that can be used for everything from eclairs to profiteroles, and now, waffles, in either a savory or sweet recipe. 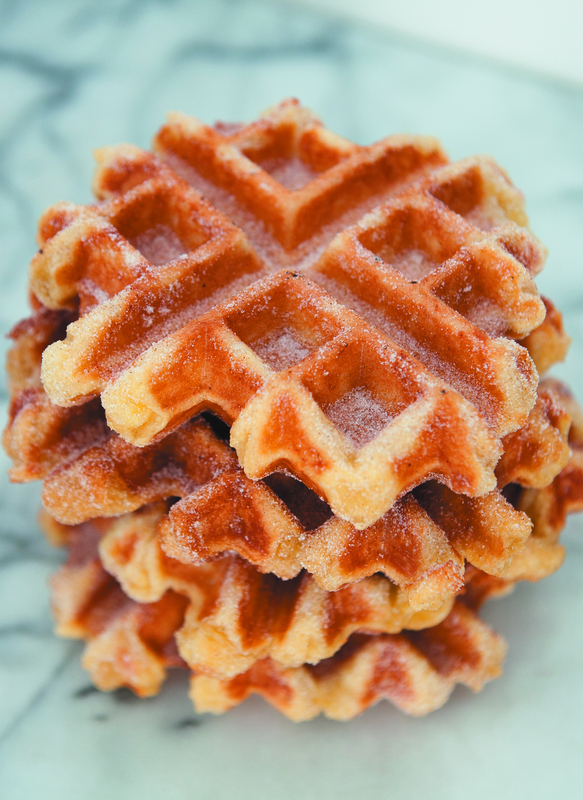 Used in this waffle recipe, it delivers a crispy waffle with a delicious interior. Toss in cinnamon sugar and you’re ready to start the day, alongside a big cup of coffee. Good morning friends! These crispy churro waffles will make waking up a treat - serve them up with a big cup of coffee and you'll be ready to take on the day! In a saucepan, simmer water, sugar, and butter until it comes to a quick boil. Add all the flour quickly and with a wooden spoon, combine and stir for 2-3 minutes until a film forms at the bottom of the pot. Transfer to stand mixer or regular bowl and allow to cool for 5 minutes. Add eggs one at a time, until all eggs are incorporated. Preheat and grease your waffle iron - scoop ½ cup of batter into center and cook waffles as directed by manufacturer, about 3-5 minutes each. Have sugar and cinnamon mixture ready and as waffles come out of waffle iron, toss on both sides. 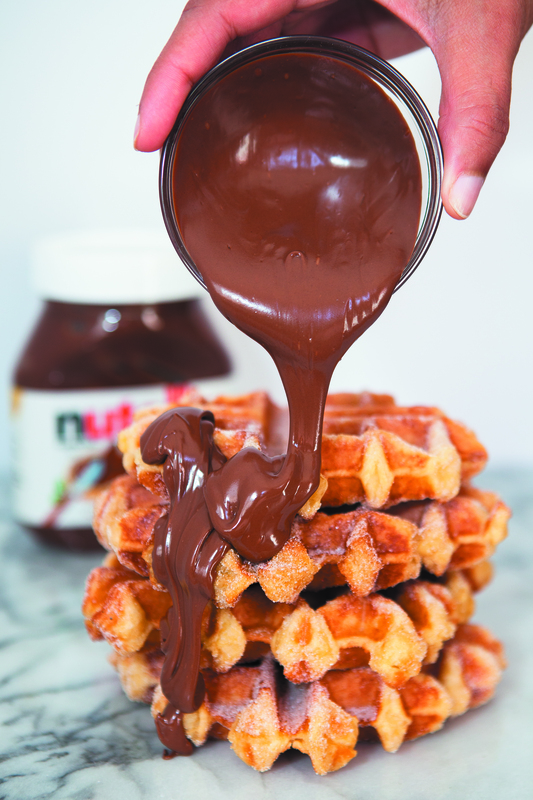 Serve warm with Nutella, chocolate sauce, or whipped cream.